This weekend I heard TAPS. It had been a few months since I last heard it and I had no idea the emotion would flow. (TAPS: Wordless-Wednesday) But Memorial Day is a day to celebrate the memory of our war veterans and that we did! This Memorial Day is going to be different for us. We have many family members who have served and some who are currently serving. From World War II to present day Afghanistan with stops in Korea, Vietnam, Bosnia, Kosovo, Iraq, and Afghanistan. We even have a grandson currently in basic training at Ft Leonard Wood who will do his service time as well. Praying that he will never see combat! But this Memorial Day there is a big hole in my heart where two WW II veteran brothers used to hang out and remind us of the many sacrifices they shared. These two men passed away within a week of each other this winter and were so alike and yet so different. One year apart in age, their deaths remind us of why we celebrate Memorial Day! C olor just about set to unfurl. D rama alive in the garden. Irises look like purple lipstick tubes. 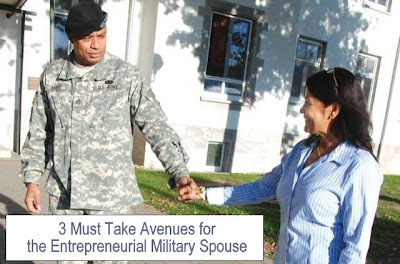 I had the wonderful opportunity to share my thoughts on Military Spouse Entrepreneurship over at USAA's Spouse Community. "As an entrepreneurial military spouse you have three avenues that you must take to help build your business clientele. Part of your journey you will have a small 'toll' to pay a charge to get from your starting point to your final destination. Some of your road-trip will be on the 'free-way'; there is no charge except for your time. Part of your journey is pure open country road, taking the time to get to know the passengers, otherwise known as your new clients. All three roads are a part of your journey, a great way to get to your final destination. You could become a known professional, reliable business, and successful entrepreneur." The Wounded Warrior Games are taking place in Colorado Springs, May 11-16. What an amazing group of Veterans these warriors are! The Department of Defense Community is doing a great job of covering and you can learn more in our Reading Room or at the Department of Defense Warrior Games. Take the time to read their Creed. How can you apply it to your circumstances? Their will to succeed far exceeds my heap of troubles of the day. These are soldiers, sailors, airmen and marines that we can look up to. During the Happy Military Spouse Day! Let's Talk Jobs for Spouses > DoD Blogger Roundtable they told us that 36 states had passed legislation to assist military spouses with the transportability of their licenses or credentials between states which is absolutely fantastic. I had asked which states had NOT passed legislation so we could highlight which states needed to take action > to walk the talk of support to the military community. You can look up your governor or legislator and send them a note in support of legislation to assist military spouses with this critical issue. What a great day! Celebrating the contributions of military spouses to their families, services and country! A special shout out to my favorite military spouses > MilAve_Deborah and MilAve_Leanne. Immense contributions at that but I digress from the purpose of this blog which is to announce how much progress can be said for military spouse employment and provide "How To" tools to help! When the DoD Blogger Roundtable met yesterday afternoon there was no big announcements, no laudatory pats on the back, just continued improvement of tools that military spouses can use to find gainful employment or continued success in their choice of careers. "They have an IPhone App for their program..."
Spring seems to be a great time to get started on new workout plans, healthier eating, gardens and more! May is even designated as physical fitness and sports month so it was great timing for the DoD Blogger Roundtable to discuss the US Navy Operational Fitness and Fueling System and some new and better ways to help stay healthy! As a long time advocate for a healthy lifestyle I was very interested in the topic but wanted to make sure that it would be interesting for our followers. Diana Strock, Physical Fitness and Injury Prevention Program Manager said they had “resounding feedback” from sailors that the program was helping with resilience, reducing anxiety, improving nutritional choices, fitness test scores and much more. Our gardens during our years of PCS after PCS, overseas, deployments and lengthy TDYs etc. were small and mostly flowers. After retirement we settled in Michigan and focused on a vegetable garden in addition to the flower beds. We live in deer country – and rabbits, raccoons, chipmunks and more critters that love our garden too. So we upgraded our garden fence this year! It was a good improvement and allowed us to hope for less damage from those lettuce loving animals. Our first step was planning over the winter as we took down the previous metal pole and chicken wire fence that had served us well for a number of years but had become a bit worn and porous. We were looking for something easier to maintain and that required little expertise. We decided on treated 4 by 4 X 8 posts so we could staple a 7 foot high deer netting (plastic) to it. No tie wires, no zip ties, etc were going to be needed with the staples and wood combination.